By admin | March 8, 2011. The stained glass tradition is still going in the Liberties. The colourful shop front of Enda Hannon Stained Glass has been on Francis St for over ten years. We talked to Enda about his trade and his Liberties connections. 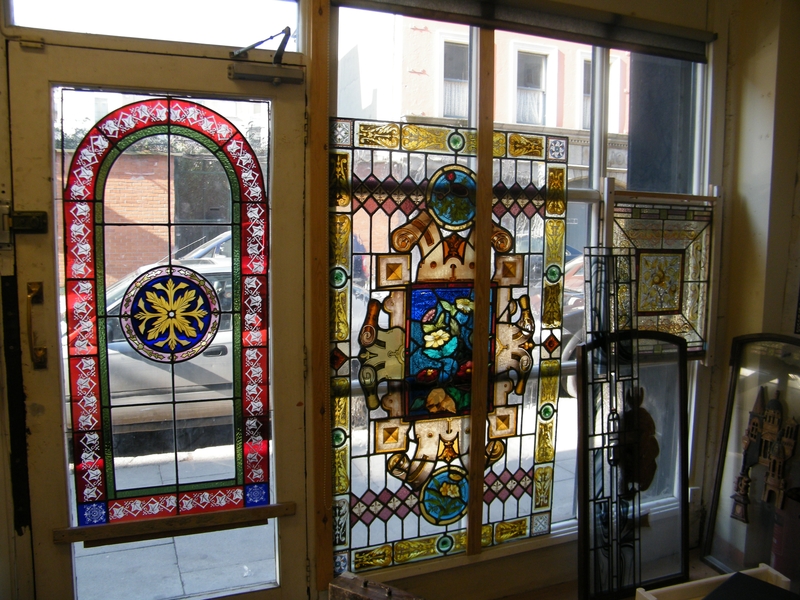 How did you get started in stained glass? I kind of fell into doing stained glass work. I began as a painter and decorator. Then I worked for a sign company where I was doing a lot of pub work including glass and lead light. After that I worked for Myra glass which used to be just around the corner from here. I opened my own shop on Francis St about ten years ago. Why did you decide to be based in Francis St? Well it’s at the heart of the antiques quarter. I do a lot of restoration and refurbishment work, and that goes hand in hand with the antiques business. Are you from the Liberties yourself? I’m not, but my mother is from the Tenters and I have relations from Spitalfields. Can you explain the process of making stained glass? Well it all starts on paper, we draw what we call the cartoon, then we cut out the various shapes we need out of glass. Then I paint in the outline and begin shading using a special paint. Then we fire it. I do a mix of private and church work. I’m trying to get more church work. The piece I’m working on at the moment is for a church in Galway. With the recession though, it’s quiet all around. 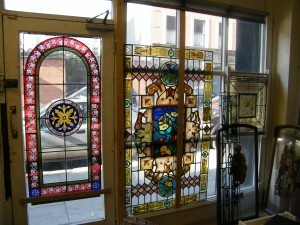 There’s a lot of work by renowned stained glass artists in the Liberties, is there any in particular you like? Well there’s a Harry Clarke window in Francis St church, but even the work in there that isn’t by him is really nice. There are a lot of nice windows in St.Patrick’s Cathedral as well. There are windows by Mayer &Co of Munich, by artists from Germany and England.